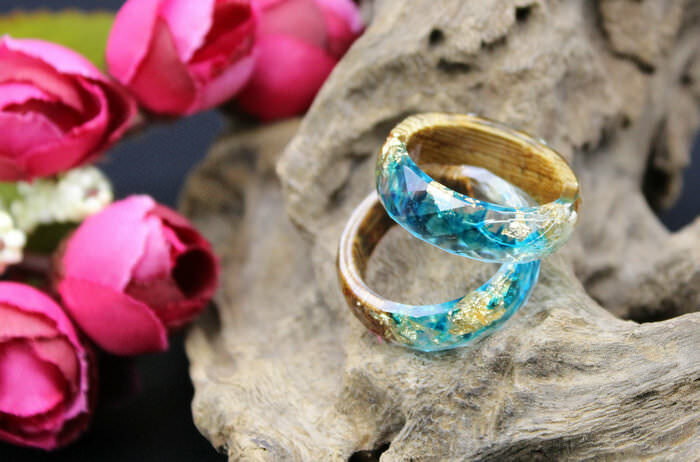 These resin rings are stunning with bright eco-resin and golden flakes throughout… It is faceted all the way around giving it the appearance of a gem. Such a comfortable ring to wear, and it is perfect for stacking with other rings. Each piece goes through quite a process. We first make durable silicone molds that will cast our jewelry. We take anything of interest- silver, gold & copper flakes, moss, dried flower– and we put that into the molds. The eco resin is then mixed, color is added, and the resin is poured and left to sit for one week. This faceted transparent ring is made from high-quality eco resin. The ring contains sparkled imitation rose gold flakes. Simple, Natural Turquoise ring: a Genuine Sleeping Beauty Turquoise is suspended on a dainty Geometric ring -Stunning, understated elegance. 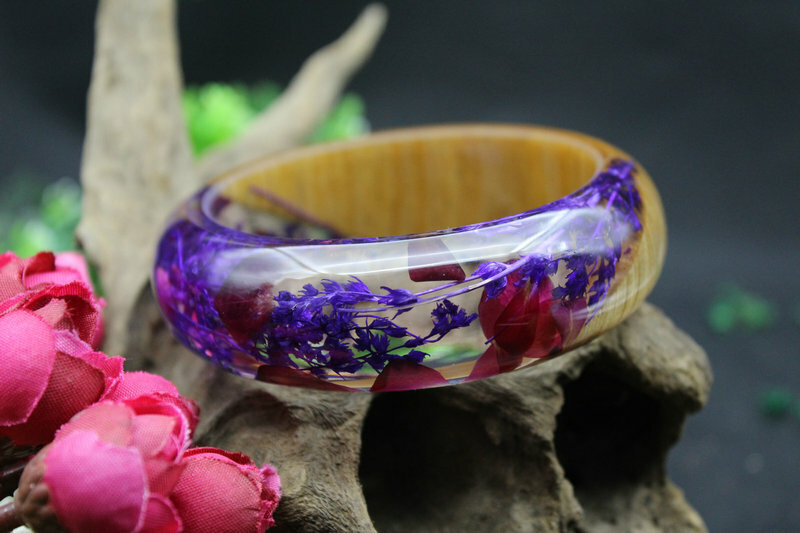 Clear hand-crafted resin ring filled with flowers, moss, leaves, stone and other beautiful natural decorations. Each one is like a wrist-mounted stasis chamber of natural wonder. More styles are coming soon!